Charles B. Updike is the firm’s senior partner and its most experienced trial lawyer. He has tried more than 60 cases to verdict, most of them before juries. He handles appeals for his own and other lawyers’ clients and is an accomplished appellate advocate. He is familiar with and has actively participated in all aspects of alternative dispute resolution. 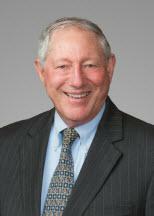 Mr. Updike has broad experience in multiple areas of litigation. He has tried cases in the areas of product liability, health care delivery, real property development rights, commercial torts, breaches of a wide variety of commercial contracts, breaches of M & A agreements, securities claims, and internal partnership and corporate disputes. Mr. Updike has been national counsel in a product liability mass tort and has served as general counsel with respect to litigated matters in the United States for a major multi-national corporation. In the latter capacity, he supervised the work of lawyers nationwide. He is counsel to a national trade association and is regularly consulted by its members with respect to litigation and claims issues with special emphasis on how to prevent them. After graduating from Amherst College, Mr. Updike served in U. S. Army Intelligence, where he was trained as an investigator and conducted investigations while he pursued a Masters Degree in Economics. During law school, he worked for a Boston law firm as an investigator. After law school, he was Law Clerk to a federal judge in the Southern District of New York and then went directly into the United States Attorney’s Office, where he became head of the Narcotics Unit, tried some of its most difficult cases, oversaw hundreds of investigations and supervised other Assistants. He has continued to conduct investigations to date. He has taught New York Practice and Procedure as an adjunct professor at Cardozo Law School and has taught trial practice at Harvard and Hofstra Law Schools.